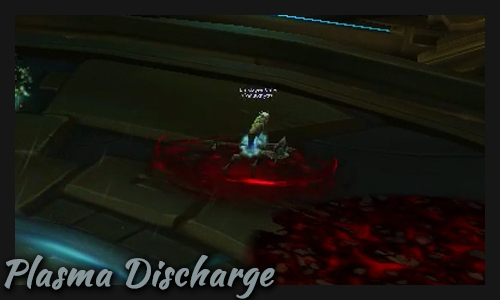 Welcome to my Mythic Guide of Taloc the Corrupted in the Uldir raid. Here I’ll do a breakdown of both general strategies and how I heal this encounter. Click on the headlines to expand and subtract the texts! I hope you can find a few tips and tricks to help you in your Mythic endeavors! If affected by Plasma Discharge, run out of to a pre-designated location and drop off the Blood Storm pools (there will be several, each tick). Run away as far as possible from the impact point of Cudgel of Gore to avoid heavy damage (damage drops off with distance). 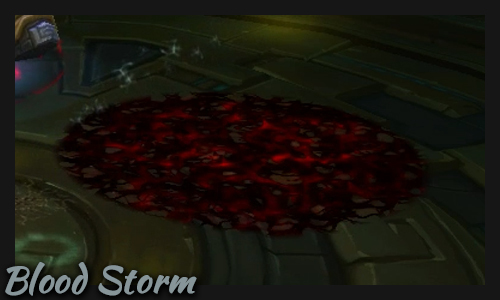 Taloc will cast it at one of the tanks at 100 energy, and the impact point will clear off any nearby Blood Storm pools. Don’t stand between Taloc and his Cudgel when he runs and Retrieve Cudgel, as he knocks back everyone in his way. Dodge the waves of Sanguine Static to avoid being knocked back. 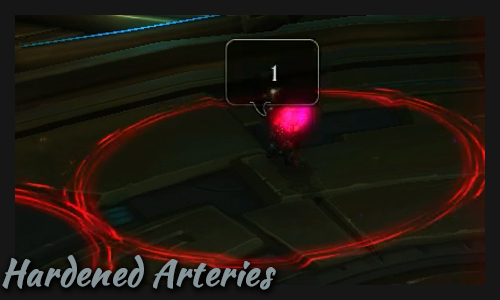 MYTHIC: Hardened Arteries and Enlarged Heart are two new debuffs that are applied at the same time. Hardened Arteries is applied to several non-tanks who must spread to avoid exploding on each other. 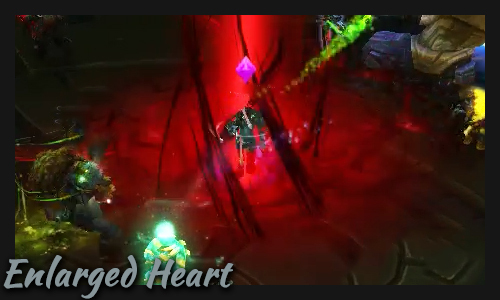 Enlarged Heart is a tank debuff that deals a large amount of damage that must be split. Everyone who does not have Hardened Arteries must run to the tank and help soak the damage! Stand clear of the edge of the elevator and don’t fall down. Taloc is Powered Down during this phase and can’t be damaged. Volatile Droplets fixate on random players and explode with a knock back when hitting any player due to Combustible Fuel. 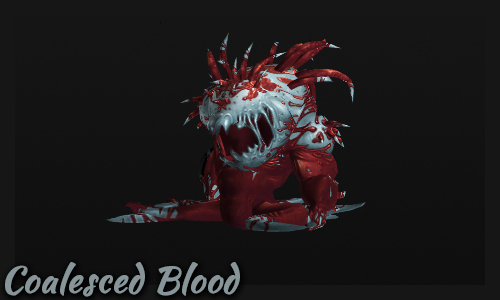 Coalesced Blood should be tanked. They leave Blood Storm pools in their wake which forces the tank to slowly kite them around the platform to leave melee room for damaging them. HEROIC: While the raid is stacked and move together around the platform, you should also keep an eye on the Uldir Defensive Beam (yellow lasers) that are placed in the elevator shaft, and make sure not to get hit as the elevator descends through them. MYTHIC: The Uldir Defensive Beam has a few more beams! When the elevator is close to the bottom arena, jump off it to avoid the stun when the elevator hits the floor. Phase two is exactly like the first phase, but in a bigger room. 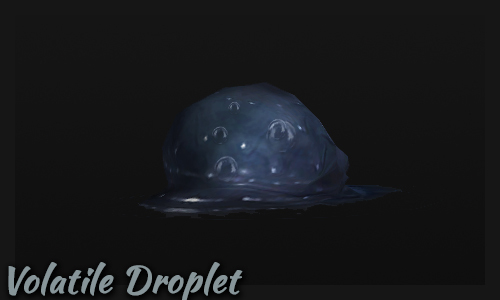 In addition, Volatile Droplets will also continue to spawn! In this fight you will spend a lot of time single-target healing, which makes Summon Jade Serpent Statue a good talent choice. Track players who has Plasma Discharge (2 spell IDs, check list above) and those who stand in Blood Storm. These will need to be focus healed! Raid healing will come in at two points: first is when Hardened Arteries explode. 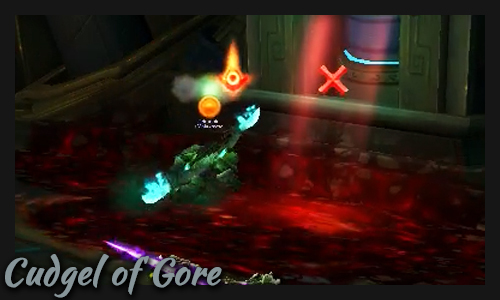 Second is when Taloc throws his Cudgel of Gore. Both should be covered by healers’ raid cooldowns (sort this before the fight). You should however be ready with Essence Font whenever you don’t cast Revival. Life Cocoon on players who fancy dropping off their Plasma Discharge in even more pools of Blood Storm. Fortifying Brew and/or your talent defensive of choice if you get too close to the impact point of Cudgel of Gore. 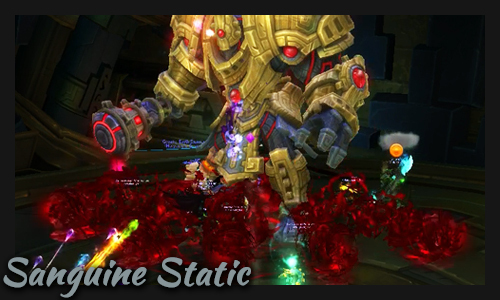 Since Taloc will be Powered Down, any potential damage output you do should be concentrated on Coalesced Blood. Volatile Droplets should be fended off. Keep a Transcendence spirit up in case you get knocked back. Always angle your camera so you know where the next Uldir Defensive Beam will ascend. As for healing, you will need to spot heal tanks again and any player who is forced to run through Blood Storm patches. This phase is identical to the first phase except you have more room and Volatile Droplets will keep spawning. You will likely have to keep close-ish to the center of the room, so you can reach everybody. The raid can potentially be quite spread out, especially after Hardened Arteries.